When creating calendar printouts from any browser, the recommended practice is to do a Print Preview before printing your calendar. This allows you to adjust the settings before you print. 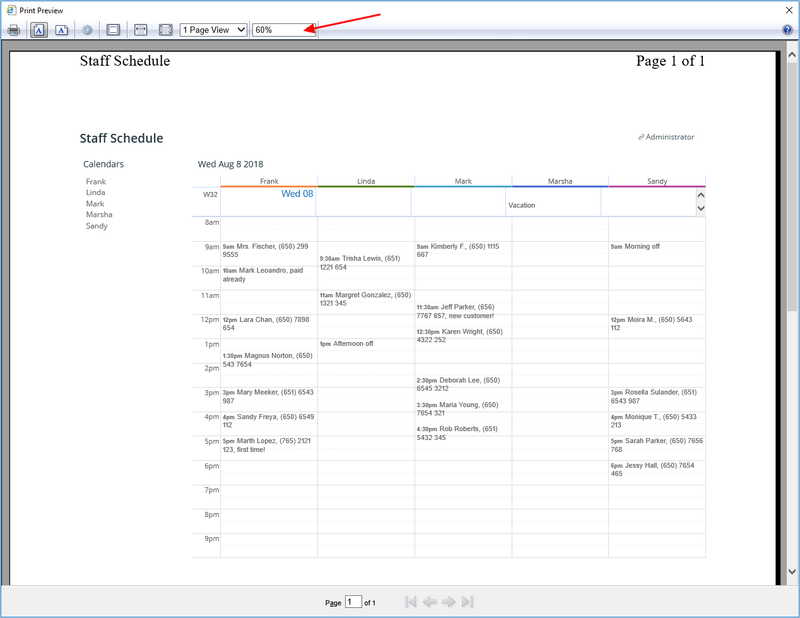 In print in Internet Explorer, the default printer settings is shrink to fit, which may cut off the calendar when printed, even if it is correctly displayed on your screen. 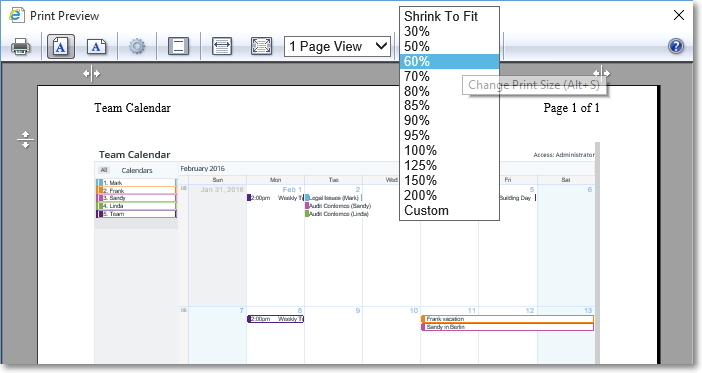 You can, however, adjust the scale in the Print Preview screen and print the whole calendar. Adjust the display of the calendar on your screen to suit your needs. Choose your view appropriately and collapse the left hand control panel, if necessary, to gain more space for the main calendar display. Check the layout in the Print Preview window. If necessary, change from Shrink to fit to a smaller percentage, e.g. 60%, to help display the calendar in full. In this example, 60% is sufficient. 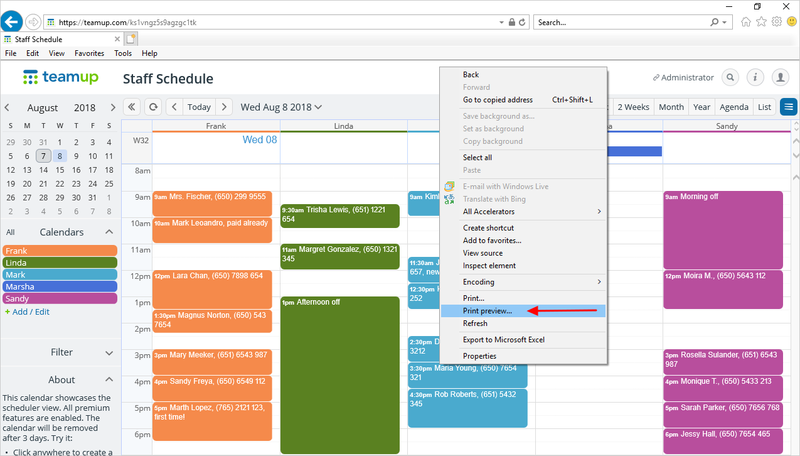 You may need to choose a smaller or larger number, depending on how many events are on your calendar, how many days you want to display, the calendar view you are using, etc. Keep in mind that adjusting this percentage has an effect on the font size of your printout.